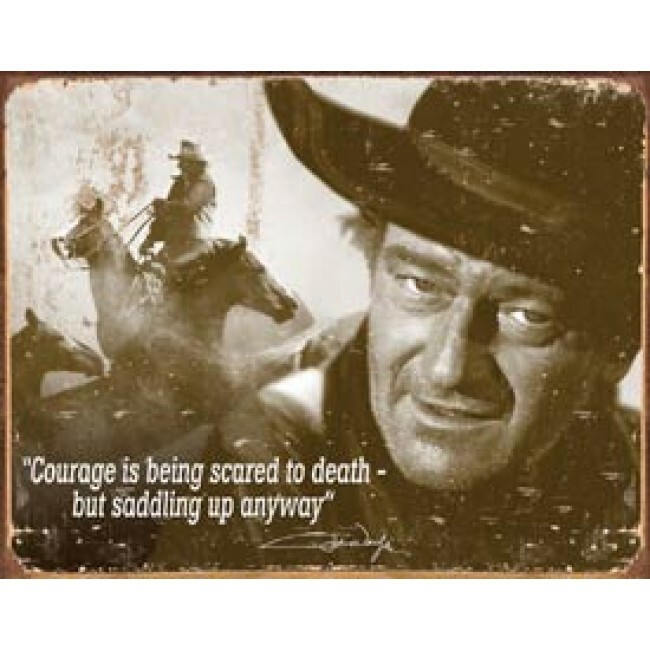 Tin Sign John Wayne Courage measures Length 16" x Width 12.5". This tin sign features one of John Wayne's famous quotes "Courage is being scared to death-but saddling up anyway". Please note: This tin sign is supposed to look vintage/rusted, with the paint slightly scratched off.